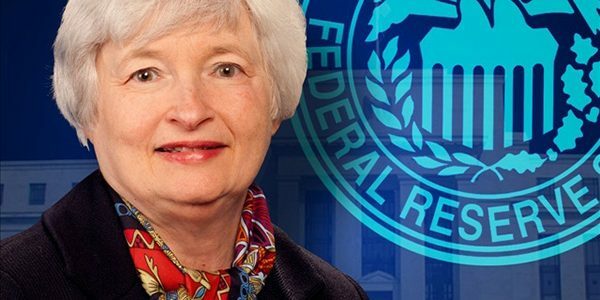 Chair Janet Yellen delivers an unchanged monetary policy soothing the market. Hillary Clinton appears to regain her footing in the presidential elections soothing global markets. Technology earnings to be strong and supportive of market valuations, boding well for Nasdaq. The market trend remains higher. THIS IS NOT A POLITICAL ENDORSEMENT. JUST WHERE THE MARKET EXPECTATIONS STAND PRESENTLY. The Federal Reserve’s decision to leave interest rates unchanged, along with a steady performance from Hillary Clinton in the first debate has created the conditions for a further market advance into October and early November. A number of weaker economic data points since August, convinced Chair Janet Yellen and most of the FOMC committee members to remain restrained and leave the rates unchanged. There were three dissenters, the highest number in a long time, which suggest that if the key economic data begins to improve, the likelihood of a December rate increase is fairly high. In her comments, Yellen noted on the Federal Reserve’s patience in light of the absence of any compelling evidence on the inflation front and the motivation to “see some continued progress.” FOMC and Yellen did their part to soothe market nerves and reinforce an upward bias. The market dislikes uncertainty. But the election season promises a lot of such uncertainty. With relatively more clarity in the positions and policies of Hillary Clinton, an election win by her is being considered by the market as providing a more stable outcome. 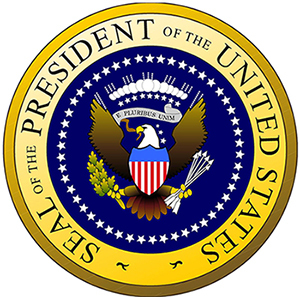 Meanwhile, Donald Trump is a newer political personality and his policies are relatively unknown and unclear. Thus the market prefers a Clinton victory, for good or bad, and has factored-in a Clinton win based on the data thus far. Any deviation from this market expectation is uncertainty for the financial markets, requiring a downward readjustment. Consequently, the first US Presidential debate assumed uncharacteristic importance not just domestically, but globally. A majority of the post-debate assessments have indicated a steady performance from Clinton, thus maintaining the market expectation. Clinton's performance may have been sufficiently strong to stem the recent rise in the polls by Trump, and perhaps even rebuild momentum for her candidacy. We will see what the polls show in the coming days. But it's undeniable that the Clinton performance assuaged the financial market concerns about a political upheaval, and the markets rallied globally. It should be noted that a Clinton win is not a foregone conclusion at this time, with two debates still remaining, and over a month left for the elections. But at this time, it's a likely conclusion for the market to build on. The combination of ongoing accomModative policy from the Federal Reserve, and the likelihood of a Clinton victory is setting up a platform for the stock market to advance further during October and November, riding the earnings season higher. 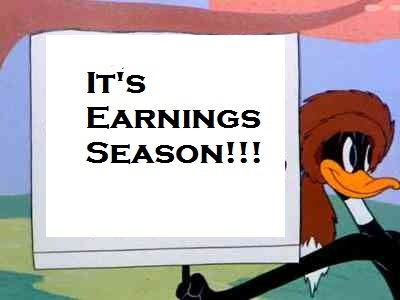 The earnings season gets underway in a couple of weeks. In two earlier articles, Federal Reserve Policy Bolsters Case To StayWith Stocks, and Staying The Course! Stocks Remain Attractive, we had presented a case for continued allocation to stocks during October and November. The only caveat being the Election - the possibility of sharp volatility based on poll swings, and an upset result. We believe that with greater steadiness on the monetary policy and election front, the stock market will find support from upcoming earnings and move higher. The Nasdaq (QQQ), after lagging the S&P 500 (SPY) for much of the year, has found its stride since July, and mostly caught-up to the +6% YTD return of S&P 500. 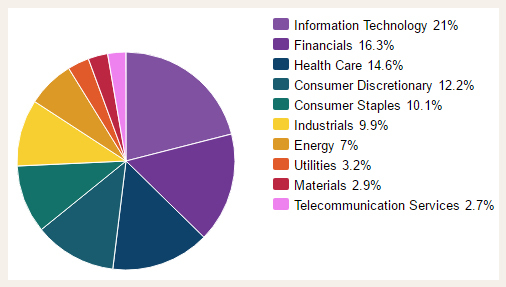 Recently, sectors with a greater influence on Nasdaq have performed very well. Since July, the Technology sector has powered ahead with industries like Semiconductors up 25% to 30%, and Internet companies up about 20%. The Biotechnology sector (IBB) (XBI), with a strong performance in September, is up nearly 20% to 30% over this period. Technology accounts for nearly 45% of Nasdaq's industry weight, as compared to about 21% for S&P 500. Technology sector will once again power the Nasdaq higher driven off third quarter earnings. The Gang of Five, Alphabet (GOOG) (GOOGL), Microsoft (MSFT), Apple (AAPL), Facebook (FB) and Amazon (AMZN), with their outsized influence on Nasdaq due to their combined market capitalization of well over $1 trillion, will find additional support from many technology companies including Intel (NASDAQ:INTC), Micron Technology (NASDAQ:MU), Netapp (NASDAQ:NTAP), Microsoft (NASDAQ:MSFT), Adobe (NASDAQ:ADBE), Sap (NYSE:SAP), Red Hat (NYSE:RHT), Weibo (NASDAQ:WB), Netease (NASDAQ:NTES), Alibaba (NYSE:BABA), and Sina (NASDAQ:SINA) to name a few of the promising companies that we find attractive. It's a broad based technology advance with the Philadelphia Semiconductor Index (SOX) also recording a new high. In addition, high profile news about mergers and acquisition (M&A) activity keeps attention on the technology sector. Most recent is the news about Twitter (TWTR) considering a sale with names of potential buyers being mentioned as Alphabet, Disney (DIS), Microsoft, and Salesforce (CRM). In the meantime, the S&P 500 will benefit from technology as well with its over 21% exposure. However, Energy, Materials and Utilities, which combine for over 13% exposure in S&P 500 as opposed to Nasdaq's 1%, can be a drag on the index's performance over the next month. S&P 500 earnings recession, which has lasted for 5 quarters now should continue into the third calendar quarter report, but now with an improving outlook. The small-cap focused Russell 2000 Index (IWM) should continue to edge higher, and we anticipate finally make a new all-time high in October. The Biotechnology sector which had corrected -40% to -50% from its highs last year and was firmly in the grip of a bear market till June 2016, has finally begin a rapid turnaround, which has seen the sector rise +25% to +40% in less than 3 months. "It is our belief that the valuation struggle of the Biotech sector is masking the progress that is being made by companies. While sector valuations have moved sideways and made little progress for most of the year, this muted period has allowed a number of biotech concerns to advance their programs and get closer to key milestone data." The recent forceful uptick in the M&A sector appears to confirm the argument that indeed there are now many compelling targets for cash-rich and acquisition-hungry potential acquirers. The active interest is causing the acquisitions premiums to race higher. It started last month with a major acquisition of large cap biotech Medivation (NASDAQ:MDVN) by Pfizer (PFE) at a much higher premium than initially expected, and outbidding Sanofi (NYSE:SNY). There was reported interest from Gilead (GILD) and Merck (MRK), besides a few others. Pfizer paid near $81/share, when most analysts had initially anticipated a $60 to $70 price range, and Pfizer's initial bid, higher than Sanofi's, was $65. More recently during September, Allergan (AGN) has sparked a spurt in Biotech valuations with a couple of high-premium quick acquisitions and a product deal. The Company acquired Vitae Pharmaceuticals (VTAE) for a 160% premium, and thereafter Tobira Therapeutics (TBRA) for a 700+% premium, in a combination of cash and future rights. Allergan also acquired global rights to Akarna Therapeutics' AKN-083 for an upfront payment of $50 million. Allergan's aggressiveness bodes well for the sector, as it nudges other cash-rich companies like Pfizer, Gilead, Merck, etc., to make their moves faster. Oncology remains an area of interest, and it has seen a spurt in the valuations of some key participants. But it's not the only segment being targeted. Some of the companies which appear attractive based on being a potential acquisition candidate, or the progress of their drug development programs, or the results of their technology platforms, include Tesaro (NASDAQ:TSRO), Clovis Oncology (NASDAQ:CLVS), Syndax (NASDAQ:SNDX), Corvus Pharmaceuticals (NASDAQ:CRVS), Colucid Pharmaceuticals (CLCD), Ariad Pharmaceuticals (ARIA), Exelis (EXEL), Biogen (BIIB), Seattle Genetics (SGEN), Kite Pharma (KITE), Bluebird Bio (BLUE), Neurocrine Biosciences (NBIX), Vanda Pharmaceuticals (VNDA), Radius Health (RDUS), Exact Sciences (EXAS), Nektar Therapeutics (NKTR), Coherus Biosciences (CHRS), and Lexicon Pharmaceuticals (LXRX). The way the Biotech sector is shaping up, this is an abbreviated list. Whether Biotech is able to sustain its momentum will largely depend on a split Congress and the resulting limited ability to enact sweeping price reforms. If this outcome were to occur following the November 8 elections, that will be considered favorable for the sector. This is not a market that is ready to give up just yet. There can be a number of forceful arguments that can be made and have continued to be made for many months about the demise and overvaluation of stocks. One day they may well be right. However, at this time we continue to believe there is more upside in the market at least into November, assuming no unexpected election surprise. As the market will begin to settle down waiting for the onset of the earnings season, the trend leans higher. The article can also be read on Seeking Alpha.